The year 2018 is inscribed to be a milestone in evolution of the pharma industry. Keeping Speed, Quality and Cost Control as an agenda the industry inferred the upliftment of technology and process to be the mantra. 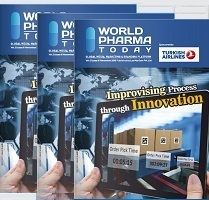 2018 has seen some of the most fundamental changes to the pharmaceutical industry – driven by serialisation requirements in the US and EU, as there has been a seismic shift towards a more digitalised supply chain. The 3 Ways Johnson & Johnson Is Capitalizing on Digital Innovation to Better Deliver Medicine to You? Reducing the costs associated with clinical trials is one of the pharmaceutical industry's core challenges. Running a clinical trial is incredibly expensive and if a compound fails in the late phases, it can be catastrophic for its sponsor company. Clinical oncology research is unique when compared to other therapeutic areas. Cancer patients experience substantial physical and psychosocial consequences of the disease and its treatment and much of the symptom burden occurs outside the clinical environment.